Danielsville bed and breakfast travel guide for romantic, historic and adventure b&b's. 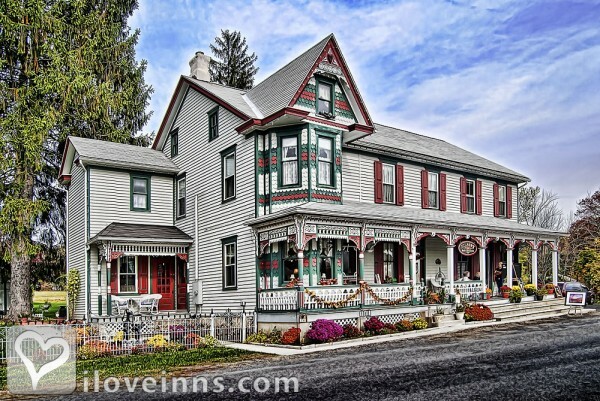 Browse through the iLoveInns.com database of Danielsville, Pennsylvania bed and breakfasts and country inns to find detailed listings that include room rates, special deals and area activities. You can click on the 'check rates and availability' button to contact the innkeeper. Danielsville, PA offers fishing at Indian Creek Farm Fishing, Lehigh River, Mauch Chunk Park, and Pohopoco Creek. Bird-watching visiting Danielsville hike around in Hawk Mountain and Lehigh Canal. In the winter, the best skiing spots are Big Boulder, Blue Mountain Ski Area, Jack Frost, and Ski Shawnee. There are a number of wineries close to Danielsville. These are Big Creek Vineyard, Galen Glen Vineyard and Winery, Blue Mountain Vineyard and Cellars, and Franklin Hill Vineyards. From their Danielsville bed and breakfast inns, guests can visit a number of good restaurants. By Filbert Bed & Breakfast.